Stereo mix produced by Mark Linett under the supervision of Brian Wilson / Mixed by Mark Linett. Pet Sounds was mixed from an assembled digital multi-track master that synced the original 4 track master instrumental with the 4 or 8 track vocal overdub master. The stereo mix was mixed to 15 ips 1/4" analog tape with SR noise reduction. A musical legacy that began in Hawthorne, California and went on to conquer the world. 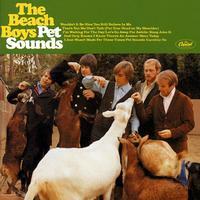 Analogue Productions presents the ultimate pressings of 14 essential Beach Boys albums! Mastered by Kevin Gray, most from the original master tapes, now presented on Hybrid Stereo/Mono SACD, these are awesome recordings to experience. For the early part of the Beach Boys career, all of their singles were mixed and mastered and released only in the mono format. Hits were made on AM radio in mono. And the mono of those times worked well for Brian Wilson — famed co-founder, songwriter and arranger — who suffers from partial deafness. The mono mixes were where Wilson paid intense attention, and the dedication paid off! Well worth the price of admission. Great job Chad! I've had all the different types of "pet sounds." to my ear this is the best.